Pilot V ball 0.5 black pen. You can use lots of different pens, but these are my favourite at the moment. A basic set of watercolor paints (in a tube), water, paintbrushes. I started off by creating a watercolor burst which would be my background. I used a gorgeous purple and green left over in my palette. 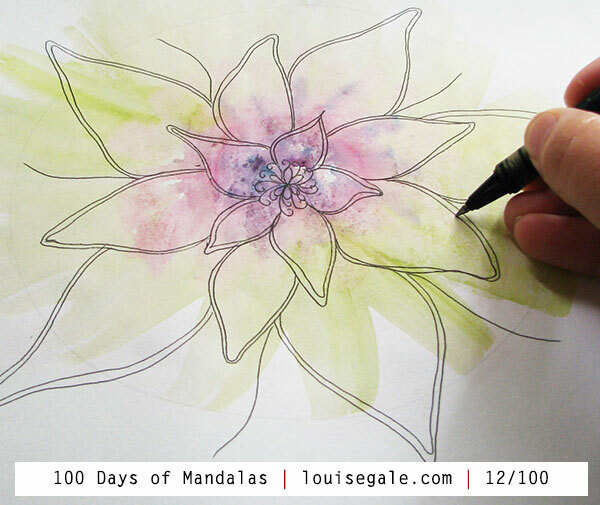 Once that was dry, I started to draw freehand using a 5-point design inspired by one of my succulents on my balcony. Follow me on Instagram here and also on Facebook if you haven’t already done so. 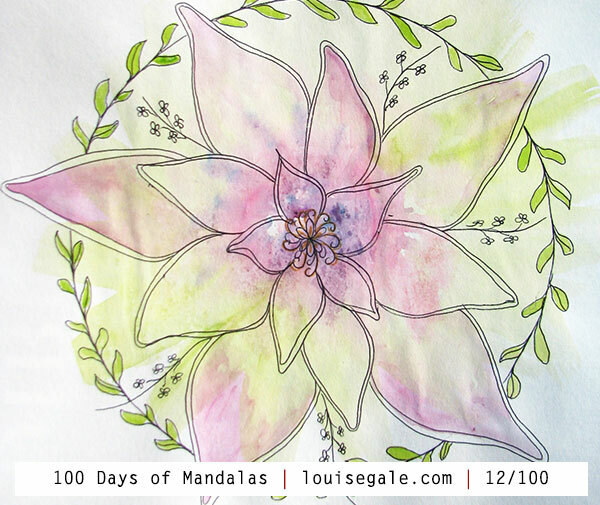 Our main hashtag is #100daysofmandalas so you can see some of the lovely people joining or others who are taking part in their own 100 day mandala challenge. I’ll be posting daily. 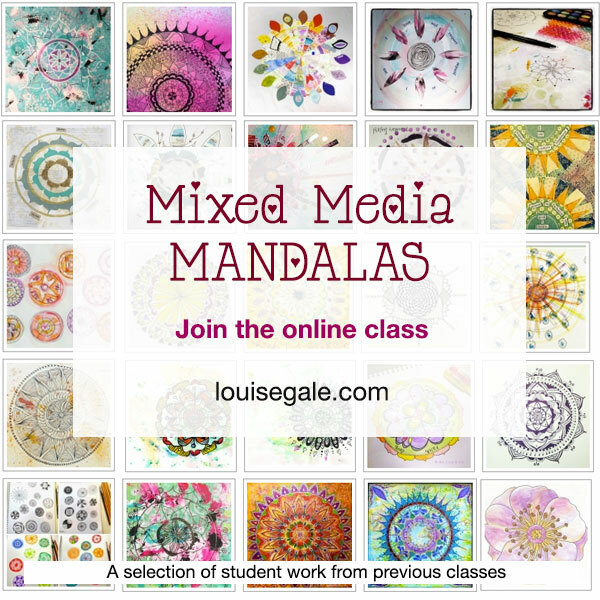 If you would like to deep dive further into mandala making, please take a look at my online class: ‘Mixed Media Mandalas” where I host a 4 week class full of techniques and inspiration to grow your own mandala art and explorations.